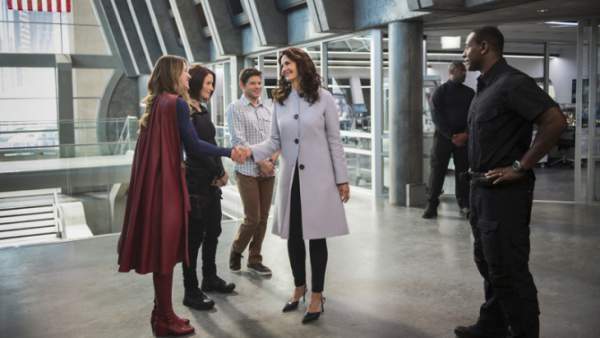 Supergirl Season 2 Episode 4 Spoilers, Air Date, Promo, Synopsis 2×4 Updates: The alien-superhero show seems to be open-hearted when introducing some different DC characters. The upcoming chapter of this installment is going to show fans some more of them. The next week’s episode is titled ‘Survivors’ and it will introduce Miss Martian, Mon-El, and an enemy named Roulette makes an appearance. Mon-El will be a little more actively involved in the show. It is apparent that something fantastic is going to be next week. It’s good to know it is coming later, though. Check: One Punch Man season 2. It all sounds great. However, it looks like the fans will have to wait a little bit longer to find out the biggest and most notable adversaries of this season. We guess it’s the Project Cadmus which we are going to see in the first half of the season, at least. In the meantime, the second half is going to reveal even bigger Big Bad. The news that Roulette is involved this time was confirmed earlier when Lachman was spotted filming a scene on September 13. The 34-year-old actress was seen donned in a long red dress with a side split showing her leg snake tattoo. Supergirl season 2 episode 4 will air on October 31, Monday at 8 pm on The CW. Stay tuned to The Reporter Times for latest Supergirl news and other TV series updates across the world. What do you think of the upcoming episodes? What are your views and thoughts? Feel free to share.